Drumbeat Sixth Form School is a special school for pupils with Autistic Spectrum Disorder providing anywhere from 4 to 16 places to students between the ages of 16 and 17 years old. 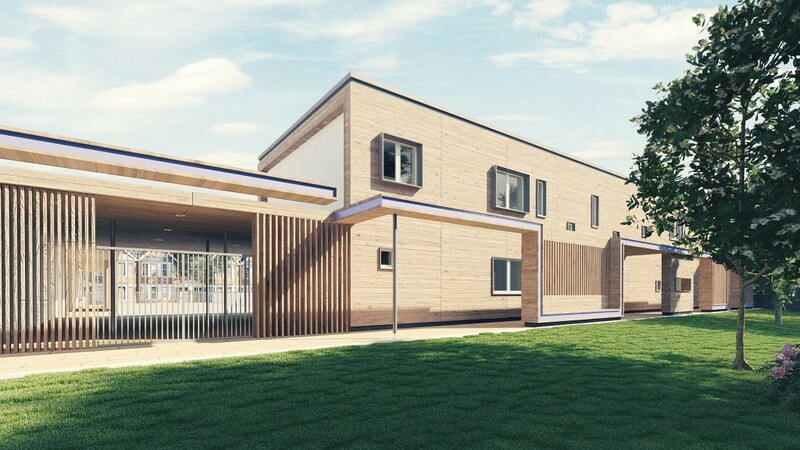 Located within the existing school grounds, the new building has been designed as a contemporary, timber clad structure using modular / off site construction with high levels of prefabrication. 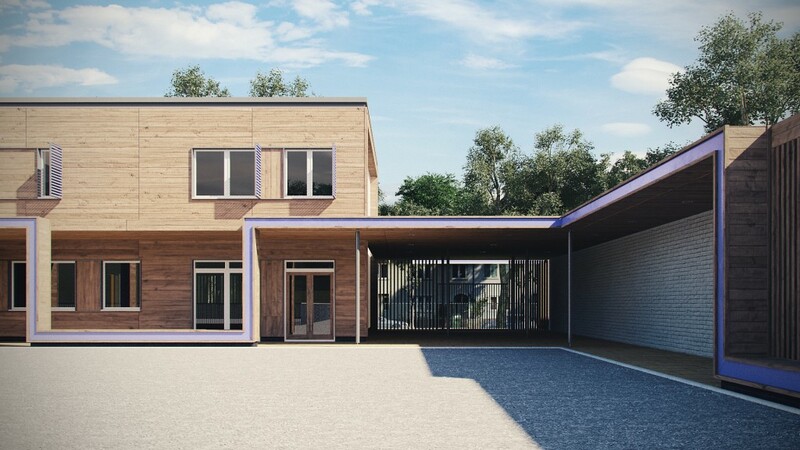 These will reduce the extension’s construction time on site and minimise disruption to the school users. 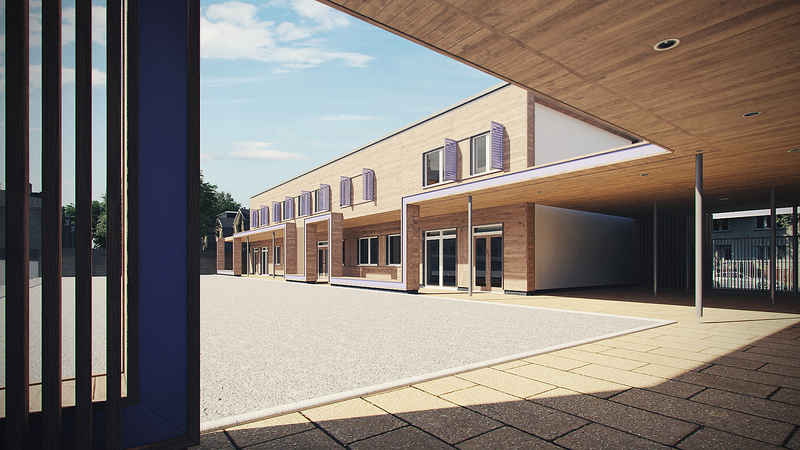 A new canopy has been designed to link the new and existing school buildings. This creates a ribbon of seating, speakers and lighting which unifies the school facilities and provides a guide from one to the other.